A vibration machine might improve your jumping ability. It sounds way too good to be true. Work out for a very brief time -- or don't even move -- on a whole body vibration, or WBV, machine, with the aim of getting stronger, jumping higher and perhaps losing weight more easily. The machine is advertised to build bone density and lower cortisol levels at the same time. Although it sounds miraculous, a growing body of research offers evidence that vibration machine workouts do a body good. However, vibrations machines might be too much of a good thing if the vibrations are too strong or the machines are used for too long. The Russian space program developed vibration machines in the 1960s. Soviet scientists wanted to find a way for their cosmonauts to cope with the problems caused by prolonged exposure to zero gravity, particularly muscle and bone atrophy. The vibration machines allowed Russian spacemen to endure some 400 days in space while American astronauts were limited to about 130 days. You stand or lie on a vibration machine and absorb vibrations that transmit energy into your body. That energy constantly stretches and relaxes your muscles dozens of times each second. You normally use 40 percent to 60 percent of your muscle fibers when you do situps or lift weights. If you do the same exercises on a vibration plate, you engage almost 100 percent of your muscle fibers. As a result, you gain muscle strength more quickly. Since the vibration machine operates on the same principle as plyometrics, quickly stretching and contracting particular muscles to develop more explosive strength, it can increase your vertical jump and other measurements of explosive power as well. Advocates of vibration machine training think you can train for as little as three days per week at 15 minutes per session to build strength, increase flexibility, improve blood flow and hormone levels and lose weight by burning fat. 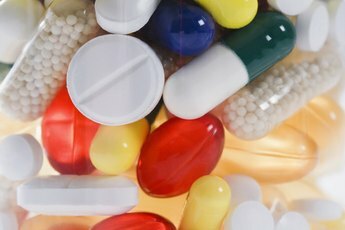 A variety of research studies cited at the IDEA website lend support to the claims. For example, a 24-week study of young women who used vibration machines found significant increases in their strength. A 16-week study found that young men and women who spend just four minutes per session doing exercises on a WBV machine three to five times per week increased their vertical jump by an impressive 8.5 percent. A 2006 study of female athletes using vibration machines, published in the "American Journal of Physical-Medical Rehabilitation," found improvements in strength, jump performance and flexibility. MayoClinic.com cautions people to refrain from viewing vibration machines as a surefire all-around conditioning device, stating that research has yet to demonstrate that a WBV provides the same types of health benefits you get from aerobic activities such as jogging or swimming. However, it does say that current research appears to support the use of vibration workouts for muscle strength and weight loss, and perhaps for reducing of back pain and bone loss as well. 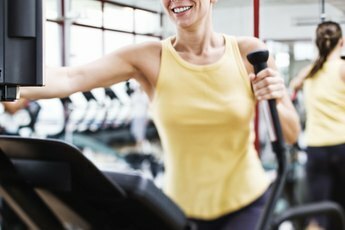 If you use a vibration machine, MayoClinic.com suggests that you combine WBV workouts with aerobic and weight training. While dark chocolate might be good for you, a diet consisting of nothing but the sweet stuff would be disastrous. The same goes for vibration machines. Experts quoted by MSNBC worry that people might go overboard or some machines be sold to the public that vibrate at excessive levels. Clinton Rubin, a biomedical engineering professor at the University of New York at Stony Brook, has extensively studied vibration machines; he cautions that abuse of WBVs could result in back pain, cartilage damage, blurred vision, hearing loss and perhaps even brain injury. If you are pregnant or have conditions such as a detached retina, blood clots or bone tumors, stay off vibration machines. Work with a qualified trainer and consult your doctor if you're thinking about using a vibration machine on a regular basis. ACE: Whole Body Vibration Training: Can You Really Shake Yourself Fit? 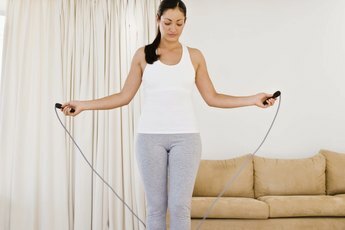 MayoClinic.com: Is Whole Body Vibration a Good Way to Lose Weight and Improve Fitness? Do Muscles React to Light Weight Workouts? Does Exercise Increase Bone Mass? Does the Fly Exercise Machine Build Bone Density?